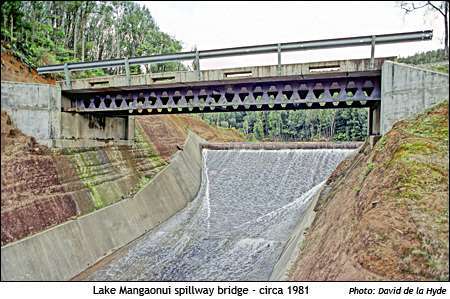 The car is situated on the road built on top of the 20 metre high earth dam. The road crosses the spillway bridge before winding up the hill in the background. 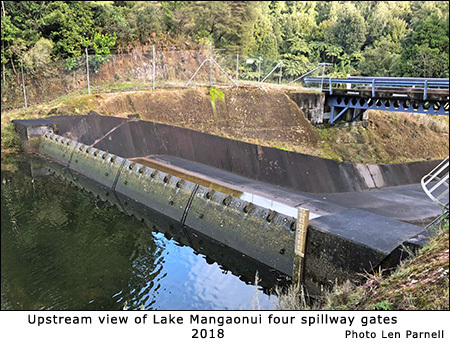 The photo at the left illustrates the typical small stream that has been diverted to feed Lake Mangaonui. 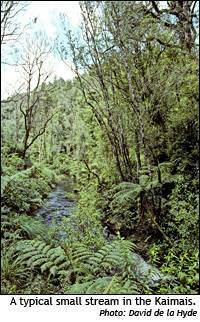 The bridge leads to an earth dam on the right, and is part of the road network built to access all sites. 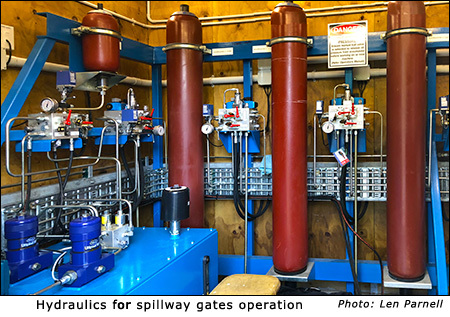 Also seen is the spillway and above it an inflatable rubber dam to raise the lake level. At a later date the dam was replaced by four controllable gates. 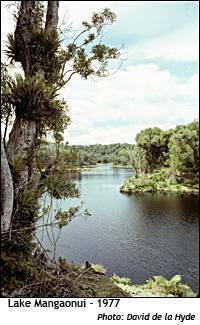 The photos have been taken when the lake level was at its highest point. 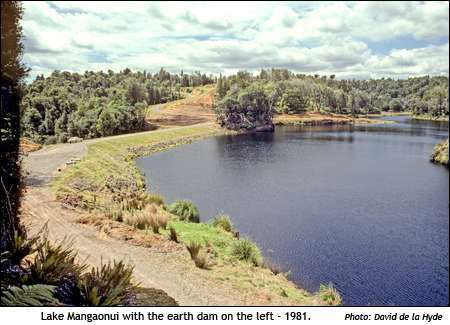 The area of Lake Mangaonui is 8.1 hectares. 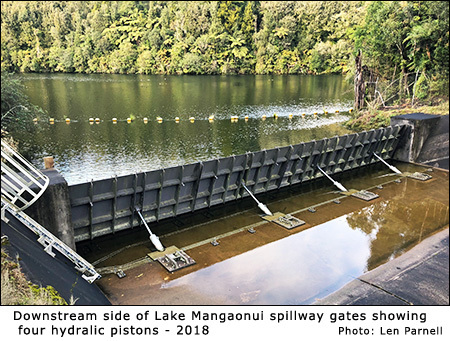 The Mangaonui spillway gates replaced a rubber dam which was filled with compressed air to hold back the water . If a spill was required the bag would deflate.